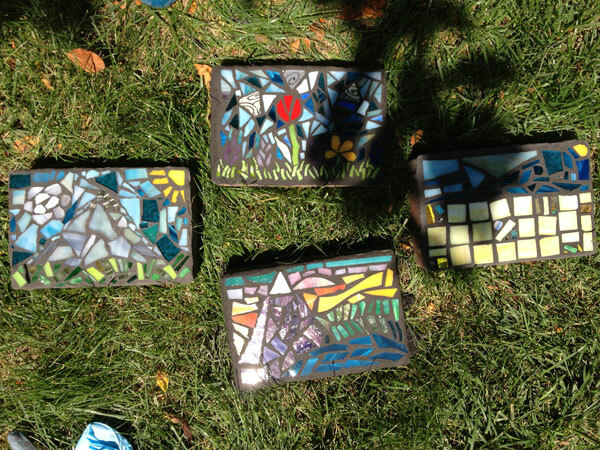 tweezers, scissors, heat gun, grout, glass. Clean sand and debris off the surface of the paver stone. After placing all of your tiles on the surface of the adhesive, it’s time to heat set the adhesive to activate it. Using an oven is the easiest way to heat set the stone. Set the oven to 200 degrees F (93ºC) and place the stone on the rack for about 15- 20 minutes. 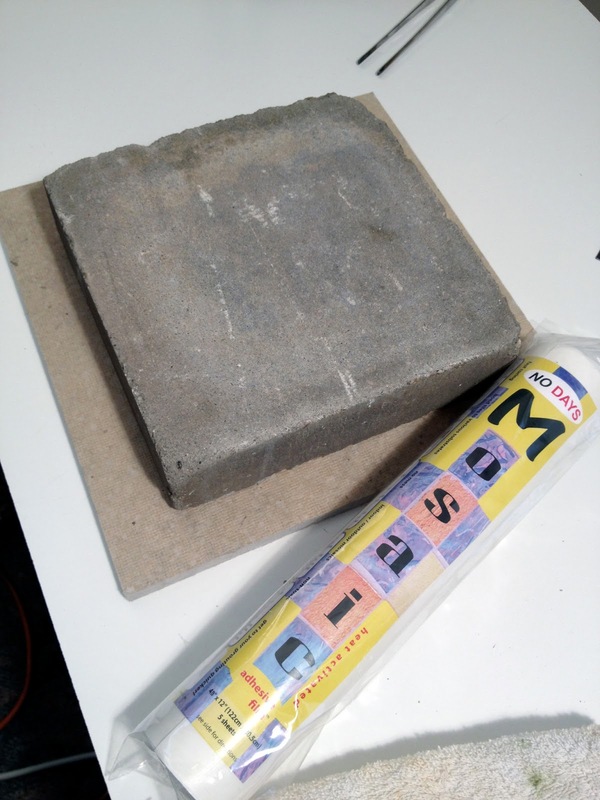 The stone takes quite awhile to heat up, and it’s important that the stone gets to 160ºF (too hot to touch) so that the adhesive bonds fully with both the stone and the tiles. 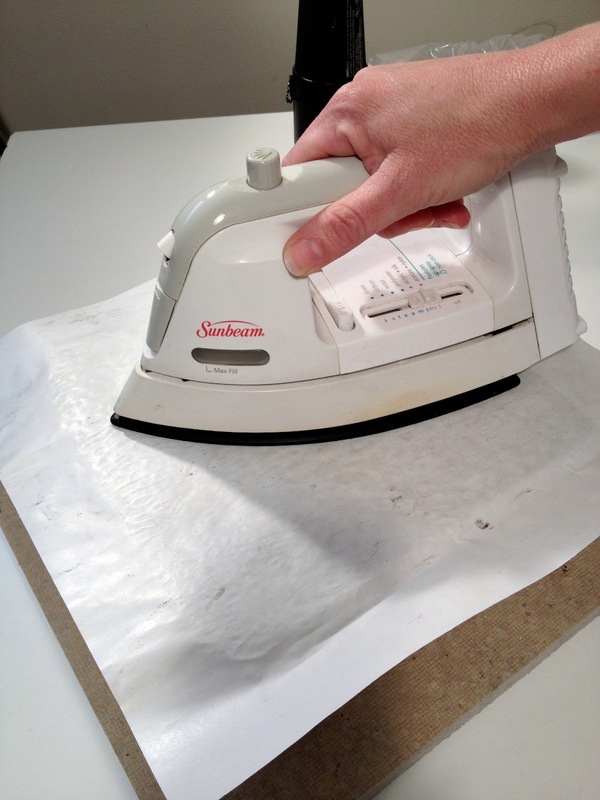 You can also use a standard heat gun or embossing heat tool to heat the tiles and stone. 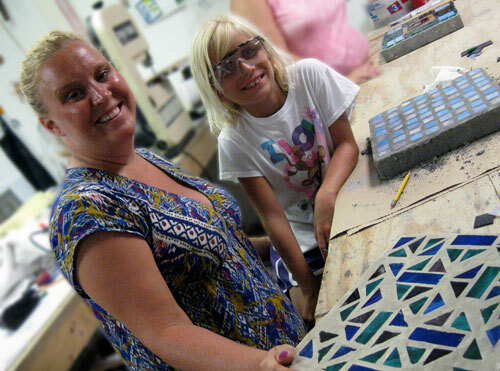 As soon as the mosaic cools, it’s time to grout! 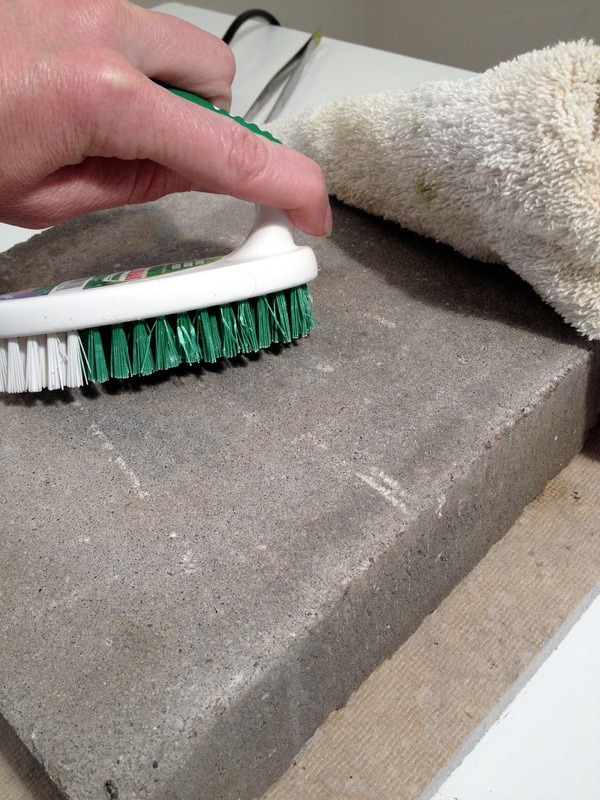 After the stone cools (~15 minutes), you’re ready to grout. 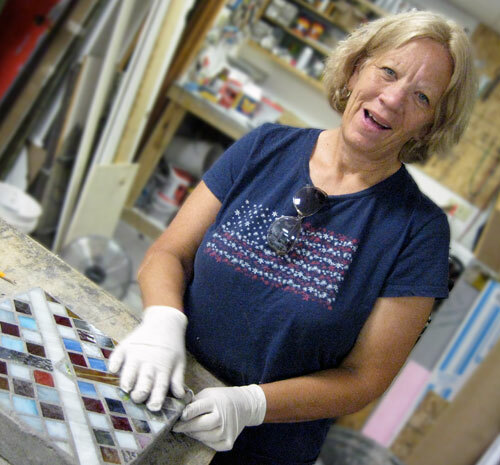 If you’re teaching the stepping stone as a class, this 15 minutes is a good time to give a grouting demo and talk about the different kinds of grout available and different methods for mixing grout. Finished stepping stones in about 3 hours! Finished stones in the yard. This batch was done by a Girl Scout troop.